We all love to save money, whether you admit it or not. There is nothing like finding that perfect deal, looking at the receipt and realizing that you spent way less than you figured you would, or discovering an amazing sale on something that you need. 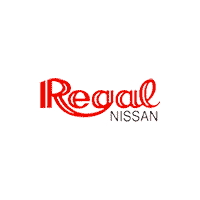 Here, at Regal Nissan, we offer specials on new Nissan models, used vehicles, and services that are guaranteed to save you quite a bit of money. What about saving money on parts? Whether you need parts to do your own maintenance, you’re looking for high-quality OEM parts for a specific repair that you have in mind, or you want to find the accessory that you’ve been waiting to put on your Nissan, you will want to stop by the Parts Department, here at Regal Nissan. We have parts for every Nissan vehicle available and can locate any parts, which you require, that we don’t have in stock. What’s more, is that we also have specials on these parts. These specials may include: buy one get one free deals, save a certain amount of money specials, take a percentage off of your entire order savings, and much more. Make sure to check back often to see what we currently have available and prepare yourself for outstanding money saving deals! If you are curious as to how a certain special would work or what other specials we will be adding soon, feel free to contact us or stop by our Regal Nissan dealership, serving Roswell, Atlanta, Sandy Springs, Johns Creek, and Alpharetta, to ask one of our associates. We can show you what parts the special applies to, inform you of what specials are available, and help you find the parts that you need. BUY 3 TIRES AND GET THE FOURTH FOR $1 ON SELECT TIRES! CALL TODAY FOR DETAILS! !